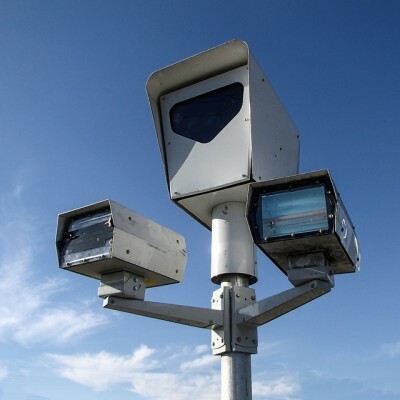 Dangerous Effects: Do Red Light Cameras Cause Traffic Accidents? Are these cameras doing more harm than good? Red light cameras–also called speed cameras–are intended to improve safety on the road by monitoring and penalizing unsafe drivers…right? Regardless of arguments that red light cameras are actually revenue-generating machines or surveillance tools against innocent citizens, red light cameras still exist in many cities. Every day, they ticket numerous drivers who cross through intersections as traffic signals turn red. However, that’s not the only effect these cameras have. According to a new study by the Insurance Institute for Highway Safety (IIHS), red light cameras may actually reduce the likelihood of fatal accidents as a result of speeding by up to 19%. After the IIHS surveyed two years of data from a Maryland county which utilizes red light cameras. Researchers concluded that these cameras “reduced by 59% the likelihood of a driver exceeding the speed limit by more than 10 mph, compared with similar roads in two nearby Virginia counties that don’t have speed cameras.” Areas known for having speeding cameras in the county also saw a reduction of fatal accidents over the years. However, this conflicts with other studies in the recent past which found that red light cameras actually increase rear-end accidents as drivers slam on their brakes while approaching monitored intersections. Skeptics have also pointed out how insurance companies, and thus the IIHS, are benefiting from the use of red light cameras. Overall, most drivers still disapprove of the use of red light cameras, reeling from the intrusion of privacy and the number of tickets given for turning right on red. The debate will continue to roll through courts across the nation as citizens and government officials argue whether the benefits of the cameras outweigh the consequences.